More news about getting photos published. 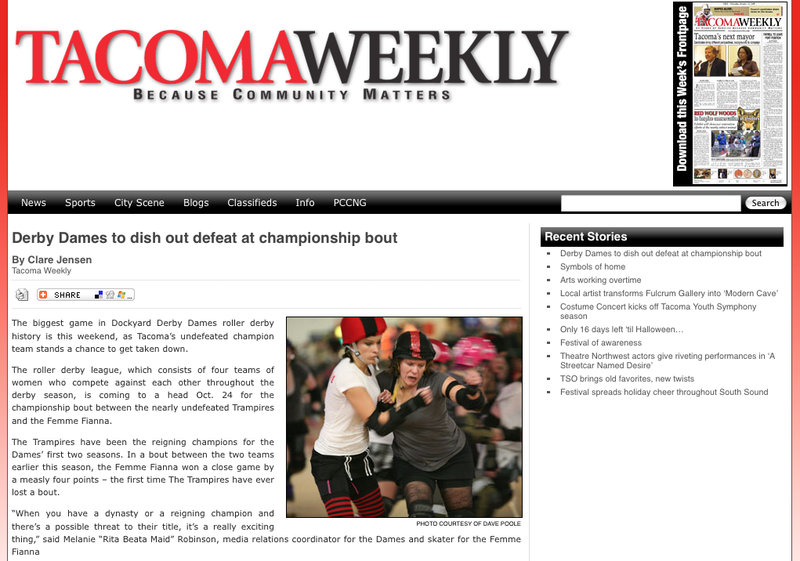 This time the Tacoma Weekly printed one of my shots in their article from last week about the Dockyard Derby Dames’ Championship Bout. I wasn’t able to attend, so sad face for that. However, a happy face that Femme Fianna beat the Trampires to unseat the reigning champions. Did you find this post helpful, useful, or just plain interesting? If so, and you're feeling generous, you can thank me by buying me a drink, leaving a comment below, or by sending me a message.